After years of wondering why there was no Indian food in Wicker Park one finally opened up a few months ago at 1414 N Milwaukee, a nice 15 minute walk from my place. It’s called Cumin. 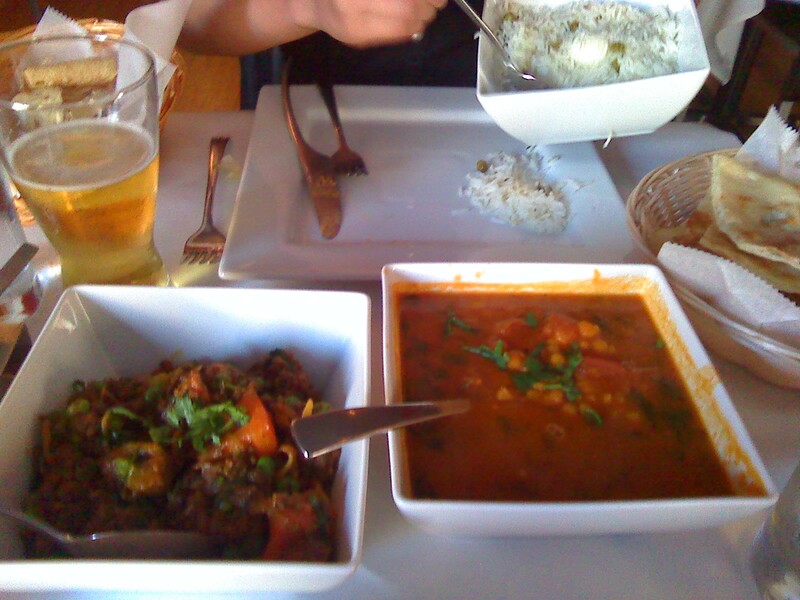 They claim to be modern Nepalese/Indian, and while there really isn’t anything modern about it, it was damn tasty! They have nice paintings of Himalayan villages on the walls and a pretty nice bar. Tables were a little too close together when getting up to leave or go to the bathroom, but were otherwise spaced alright while eating. The two-top tables were too small though. There was barely enough room for our food and didn’t leave us any elbow room. Overall, we weren’t uncomfortable though. 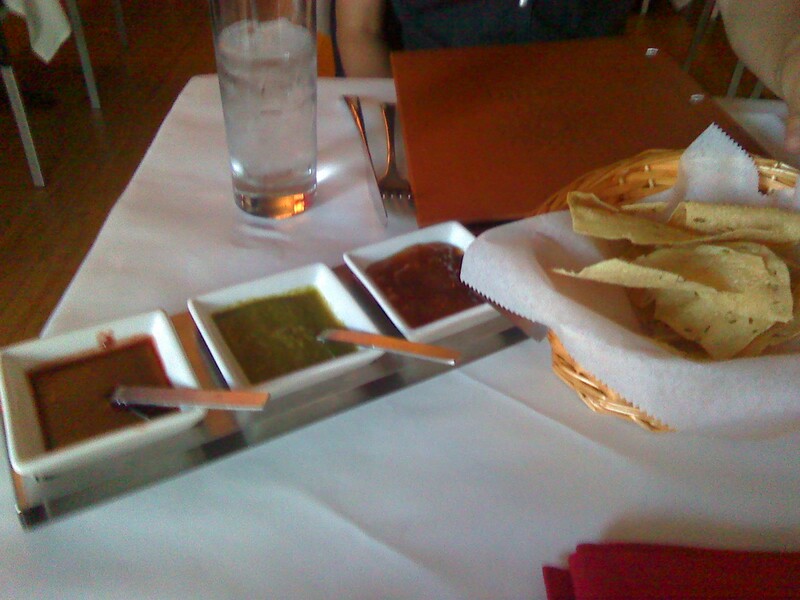 Once we ordered they brought out the pappdom and sauces. The standard tamarind, cilantro, and chutney. The tamarind sauce was excellent! One of the best I’ve ever had. 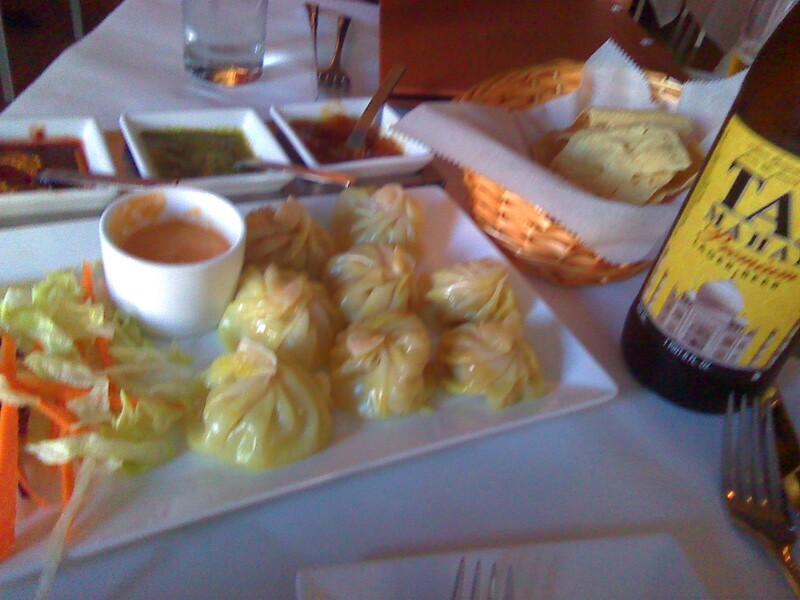 For an appetizer we got the “true national dish” of Nepal (according to the menu), chicken momo. It’s basically just a regular dumpling filled with seasoned ground chicken. Amongst the seasonings were turmeric, ginger, and cumin. It was delicious! Very simple, very fresh, full of flavor. 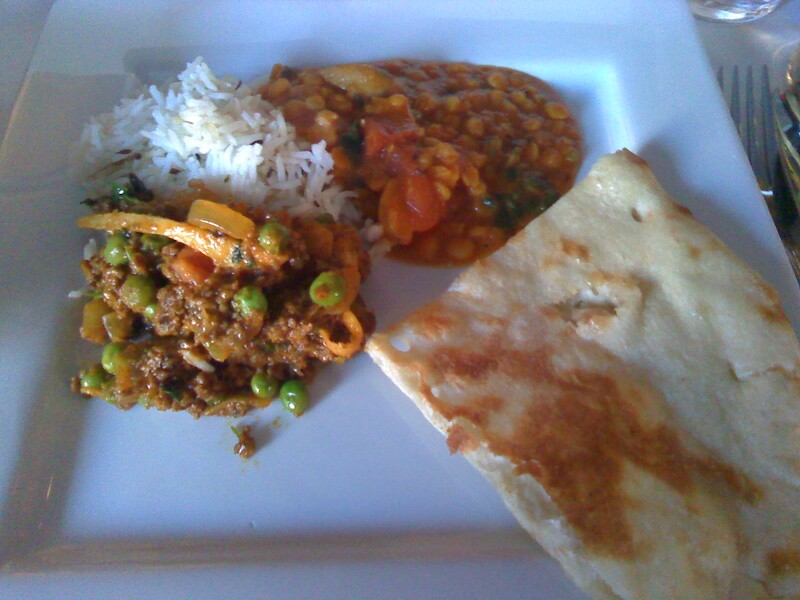 We shared two entres along with some Indian rice and some naan. We got lamb keema matar and jhaneko dal. The lamb dish was ground lamb cooked with peas, big slivers of ginger, carrots, onion, and tomato. The dal was a Nepalese lentil dish stewed with onion and cumin. Both dishes were excellent! The appetizers range from $4-10 while the entres start at $11 and top out at $20 for seafood. They average about $12-14 though, so this restaurant is not overpriced at all. It’s priced in line with a typical Indian restaurant. The quality of food is fantastic as well. The ingredients were all fresh and nicely prepared. I won’t go as far as saying that Cumin is my new favorite Indian restaurant, because it isn’t. However, having one of its caliber so close is music to my tongue.